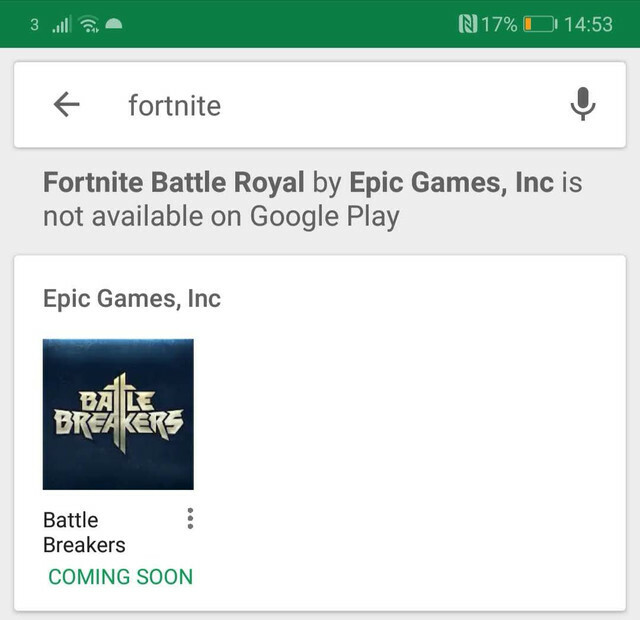 10 August 2018, 15:03 p.m.
Google will likely be taking measures to ensure such apps never reach the Play Store, but for any that slip through, it warns users that no official app is available on its store. When it released on iOS, Fortnite earned more than $100 million in revenue in its first 90 days of availability. Only the release of Clash Royale beat Fortnite to reaching this milestone. Apple takes a 30 percent cut from in-app purchases. That means, in just the first 90 days, Apple received $30 million from the launch of Fortnite on iOS. "30 percent is disproportionate to the cost of the services these stores perform, such as payment processing, download bandwidth, and customer service," Epic Games CEO Tim Sweeney has said publicly. Earlier this week, Developer analysed Google’s potential responses to prevent other developers following Epic’s example. How do you think Google is handling the situation? Let us know in the comments.